A Georgia Goodyear Tire & Rubber Co. plant faces nearly $70,000 in fines for safety lapses that endangered workers' safety and lives, OSHA says. A Goodyear Tire & Rubber Co. plant in Georgia faces about $70,000 in fines for failing to follow federal workplace safety laws that endangered workers. Investigators from the federal Occupational Safety and Health Administration imposed seven serious citations against the company in January after inspecting its plant last year in Social Circle, Georgia. Federal officials found the company failed to provide proper protective gear to workers processing rubber through hot metal presses with temperatures exceeding 350 degrees Fahrenheit. They also discovered hazards from unguarded machines, rainwater and leaking equipment that put workers at risk of slipping on the production floor. 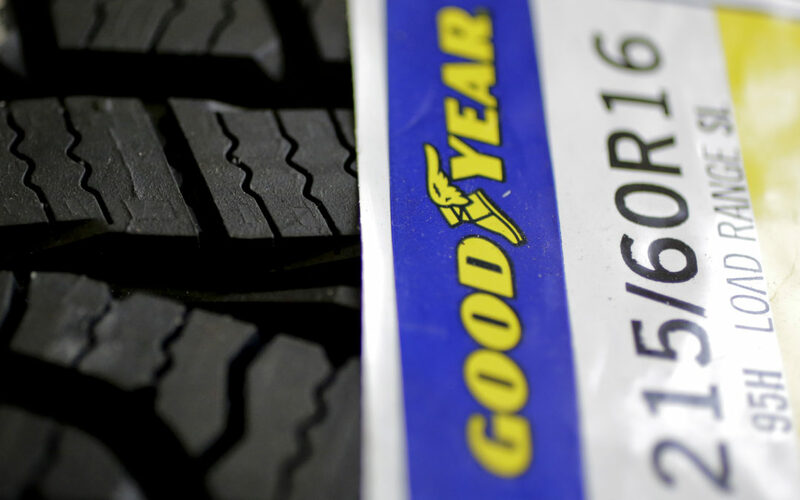 Goodyear has contested the fines, according to an OSHA spokesman. Similar safety issues were uncovered in an investigation by Reveal from The Center Investigative Reporting in December that showed how Goodyear’s lax approach to safety contributed to the deaths of motorists on the road and workers in its plants. The tire giant ranked among the top five manufacturers in the United States for worker deaths since 2009, according to Reveal’s analysis. In addition, at least four motorists over the last seven years have died in accidents after tires made at Goodyear plants failed. Those tires were manufactured in plants where intense production demands and leaks in the roof have endangered both workers and consumers, Reveal’s investigation found. Court documents and former workers in the company’s plants in Danville, Virginia, and Fayetteville, North Carolina, detailed how water leaked through the roof and, in some cases, onto machines. Workers are trained to avoid moisture in tire production because it can prompt treads to separate, causing a blowout. Hours after Reveal’s investigation was published on RevealNews.org and, via The Associated Press, on the websites of The Washington Post, The New York Times and ABC News, a Goodyear spokeswoman issued a statement. The story detailed how protections for factory workers are being dismantled. The Trump administration has rolled back and postponed Obama-era protections in keeping with goals laid out by the National Association of Manufacturers. Richard Kramer, Goodyear’s chairman, chief executive officer and president, serves on the association’s board. Since October 2008, Goodyear has been fined more than $1.9 million for more than 200 health and workplace safety violations, far more than its four major competitors combined. Besides the most recent proposed OSHA fines of $69,058, the company’s plant in Social Circle, Georgia, has been previously cited for three workplace safety violations, two of them serious. The most recent fines are “deeply discouraging,” said Jordan Barab, the former deputy assistant secretary of OSHA under President Barack Obama. “Even with multiple preventable deaths and serious injuries in plants across the country and multiple OSHA citations, Goodyear never seems to learn a very basic lesson: that they are legally and morally required to provide safe workplaces for their employees,” Barab said. Jennifer Gollan can be reached at jgollan@revealnews.org. Follow her on Twitter: @jennifergollan.